I have a strange problem. I am trying to change a text view but can't find view by id, it says that the findviewbyid cannot be resolved. I have a Main Activity from which I call an AsyncTask(Context context). In the constructor I pass THIS from main activity, I have already tried with Main Activity.get Context() but it still doesn't work. I'm using last version of crosswalk (v21), installed via cordova command line. Everything is working fine. My cookies are correctly set and took in account in the webview session. However, when i exit the app, and re-run it, my session is lost, i have to re-login. When i was using default cordova webview, my cordova app was correctly keeping my session, i could quit the cordova app, and rerun it, the session was still there. Also, i absolutely need to keep crosswalk, else my app is "laggy", adding it on my app brings better user experience on UI (better performance, smooth interaction, better portability, ...). ps: my dev env is on android, i havent & cant test this on others platforms. How to implement scroll and scroll bar in an android app? I am new to android development suggest some websites other than android developers website to quickly learn. Which is set in my onResponse Method (JSON Parsing with Retrofit). That works. But if the user taps the back button in the toolbar, it goes back to the first activity but reloads all the code an ignores the position setting. How can I achieve the same effect the back button on the device with the button in the toolbar? I have a tab layout and a view pager. The tab layout always starts with a single tab, however, I want to be able to dynamically add and remove new tabs via buttons. Is it possible to dynamically add and remove fragments to/from the viewpager? I understand via this method, adding new fragments is relatively simple. However, how would I remove fragments? As you can there is dollar sign($). If I use the following syntax. I get an error message invalid XPATH/CSS selector. I have created a password UITextField on my Swift 3.0 project checking the option Secure Text Entry. and it works almost well (at least almost I want it to work). I would like to hide the password always and not to get a preview of the last character of the password. It is only during few seconds but I would like to remove it. Is it possible to hide the entirely password UITextField while you are writing the password? but on ios 10 the animations are much less smooth and when popping a view controller doesn't animate at all, I've tried adding [self.navigationController.navigationBar layoutIfNeeded] as mentioned in some similar answers but this doesn't seem to have any effect when pushing/popping controllers. I saw this question which didnt help. So please dont mark this question duplicate. I have added the iOS RTC plugin then if I open the project in xcode and run it in device its not showing apprtc.appspot.com. Apache Cordova "Device is ready"
I am confused someone kindly guide me ! I noticed a strange behaviour with UITextView. I logged it's height in textViewDidChange, and found that it's height stays the same unless there are two or more characters on a new line. This is giving me some serious issues. Anyone knows a fix? Using [textView sizeThatFits:textView.frame.size] returns the correct size as soon as a new line is created. I m trying to change the app balance through cheatdroid app but after editing the (float) it doesn't change .it change but for few seconds .so how to change it permanently. Using AVPlayer in Swift. No error but no sound playing on iPhone. I'm new to Swift. I will appreciate a response. But in the update to swift 3.0 this part not work because the statusbar no have the foreground key. Someone has been able to change the color of statusbar in swift 3.0 ? Following problem: In a project with several targets (schemes) occur from time to time wrong configs. They won't be recognized by Xcode, so I wrote a swift script to check them. The path s given by command line parameter. Now I need to integrate this script into Xcode, so it's run everytime I compile one of the targets. My idea was to use the run script. But there are 2 problems. 1. How do I get the path? The path can be "calculated" if the target/scheme name is known. 2. How do a raise an exception in Xcode, so it stops building when there is an error and shows my error? It would be a dream if you answer my questions. Other solutions are also welcome. Thank you very much for reading and helping! _BSMachError: port 13403; (os/kern) invalid capability (0x14) "Unable to insert COPY_SEND"
Note that I have added NSCameraUsageDescription to Info.plist. In android studios when I import an Action Bar and Tab icon, the image opacity changes. Is there a way to prevent this or undue it? i used the AVCaptureMetadataOutputObjectsDelegate for a barcode scanner and it worked perfect. But since ios 10 it does not working anymore. I always get a EXC_BAD_ACCESS error when I open the barcodescanner with it´s button. The error occurs when i add an output to the session. Can someone help me please? I really tried everything and it drives me crazy. I want to know the exact meaning of the above blue box. I thought that 'Delivered' indicates the items that are required to submit to client. And 'Date' means...... a deadline? 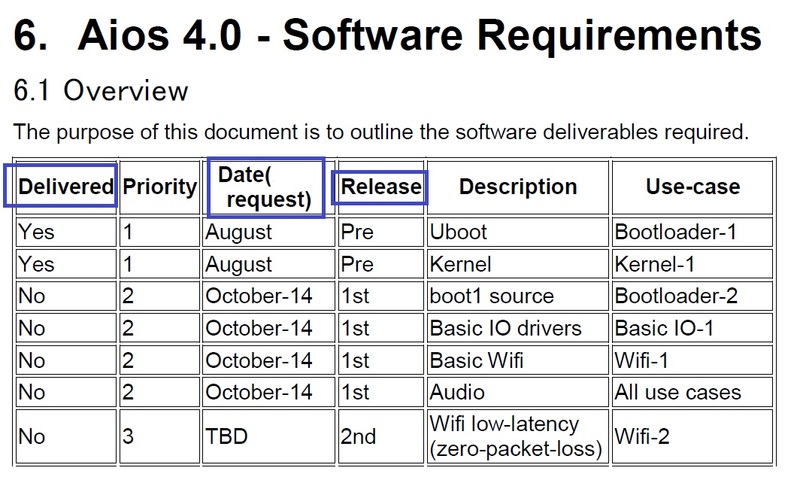 These features and constructs are still in the language mainly (only) because of backward compatibility reasons. But it seems to me that as newer features are added, the language becomes more complex, which makes it harder to learn (which features should I avoid?). It probably also makes it harder to add new features. I think it would make sense to deprecate these old features and clean up a bit of cruft, even if it breaks backward compatibility. To keep it constructive: the question is whether there are any plans to do so, or if the design team thinks backward compatibility is so important that it's worth having a worse language than what could have been? I'm looking for insight from current or former members of the C# and/or CLR design teams, or from anyone with such connections. why pointer variable not showing 100 digits?